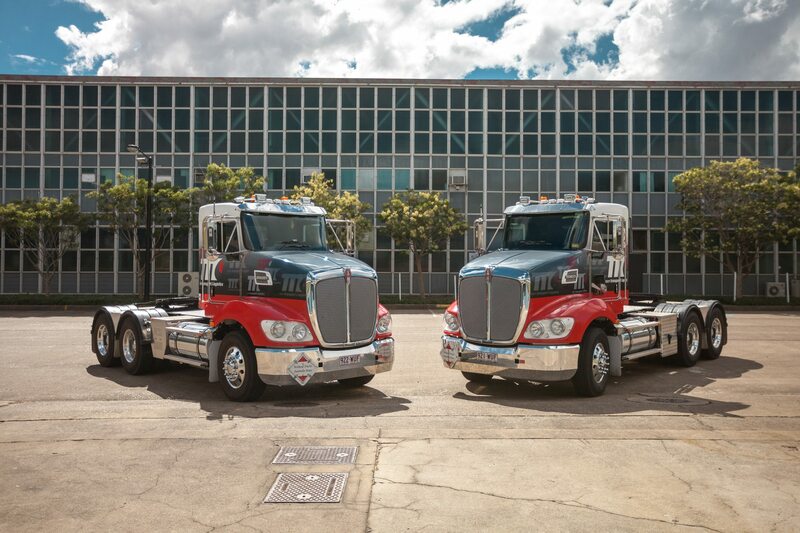 Team Transport & Logistics offers a wide range of transport and logistics services for our clients in Brisbane, south-east QLD, and throughout Australia. Our services are delivered by consummate professionals so you always know that with us, you’re on the right Team. Whether you need something delivered express right now, a more long-term transport solution or something in between, Team can help. We have a diverse fleet of taxi trucks ready and waiting to go throughout the Brisbane metropolitan area. Our range can accommodate almost any package you could want delivered, with vehicles ranging from utes to 12-tonne trucks and everything in between. We offer same-day delivery for all calls made before 10 am, and next day for calls made afterwards. We also offer an overnight service from Brisbane to the Gold Coast, as well as long-distance delivery to anywhere in Australia. If you need serious transport and logistics solutions, Team can help with our amazing range of semi trailers. Our semi trailer fleet includes drop deck and tautliner models, and we offer extendable trailers of up to 29 metres on demand or for permanent hire. Our transport services also include accessory hire for our trucks, so you can get specialised equipment like supply gates and pipe racks easily. Many companies offering transport and logistics services are happy to provide crane trucks but lack the qualified staff to also help you use them. At Team, we believe in offering complete transport and logistics solutions. When you hire a crane truck from us, you also get our amazing team, trained in the specialised skills necessary to ensure a high-quality, safe and efficient crane truck service. We can move goods anywhere you need them with our ace team of ticketed, expert drivers. Our fork mounted trucks can provide you with a transport and logistics secret weapon! Because these vehicles are mounted with their own forklifts, they maximise efficiency on jobs involving tiles, scaffold, bricks, masonry, and other palletised loads. With our forklift trucks, you’ll be able to load, transport and unload with just one vehicle and one operator – an incredible solution for transport and logistics! As well as one-off jobs, Team has a wealth of experience working on longer-term special projects. We spent many years servicing the Carpentaria Mineral Province, the Central Queensland Coalfields, and various players in the oil and gas industries in Central Western Queensland. Our experience and expertise mean we can provide comprehensive transport and logistics services for your project with a focus on safety, integrity, customer service and value for money. Sometimes an ordinary truck isn’t enough. In industries such as mining, earthmoving and equipment hire, the loads that need to be transported are often so heavy that specialised heavy haulage vehicles are needed. Team Transport has an extensive heavy haulage fleet that includes tilt tray trucks, low loaders and extendable trailers. We also have specialty vehicles such as ‘B’ double combinations, dangerous goods vehicles, heavy-duty truck mounted cranes capable of lifting eight tonnes, and quad-axle vehicles that can haul up to 70 tonnes. The fleet of container vehicles from Team can lift, carry, store and deliver your containers anywhere at any time. This allows us to offer a full transport and logistics service to clients who require wharf transport solutions, delivering your goods between terminals to customer warehouses and container parks, on time, every time. If you need a reliable, professional team to help with the running of your warehouse and distribution operations, look no further than Team. In both open and undercover warehouses, we can help with crane, fork, hand packing and unpacking, warehouse management, inventory control and reporting, and more. On the distribution side, we offer transport and logistics solution such as bulk warehousing, pallet control and pallet storage. Our freight forwarding services are second to none. Whether you need freight delivered via road, rail, air or sea, we can take care of it for you. We offer global transport and logistics solutions and personalised service. Our expertise in caring for and inspecting our own vehicles means we can also offer you vehicle inspection services at very competitive prices. Our team will wash down your truck or other vehicle, inspect it thoroughly and then issue you with an Inspection Certificate. For more information on our services, contact Team Transport & Logistics on 1300 645 106 or make an online enquiry today.